Seven Palestinian homes have been demolished in the past 24 hours across the Occupied West Bank – a move dubbed as “collective punishment” by Palestinian leaders. The list of demolished structures includes three houses in Qabatiya town south of Jenin belonging to families of a trio gunned down in February after they killed an Israeli soldier. Overnight on Monday, Israeli forces destroyed the family homes of Ahmad Zakarneh, Mohammad Kmeel and Ahmad Abu el-Rub, who fatally shot an Israeli Border Policewoman near Jerusalem’s Damascus Gate. Four other homes were also razed in the Occupied East Jerusalem and villages of Surif and Duma in West Bank. Clashes erupted in Qabatiya following the demolitions, with five Palestinians rushed to hospital in Jenin after they were shot with rubber-coated steel bullets. The family of a fourth man – incarcerated by Israel following accusations of aiding the three young men – was also handed a demolition order. Qabatiya, home to 20,000 Palestinians, has been completely sealed off by the Israeli army twice in recent months, and many of its inhabitants have had their work permits revoked. At least 10 Palestinians from the town have also been killed by Israeli forces since October last year. In a wave of attacks since October last year – carried mostly by young, disgruntled Palestinian youth – at least 33 Israelis and foreign nationals have died. Nearly 200 Palestinians, including civilians, assailants and others whom Israeli officials claim were armed with knives, have been killed. 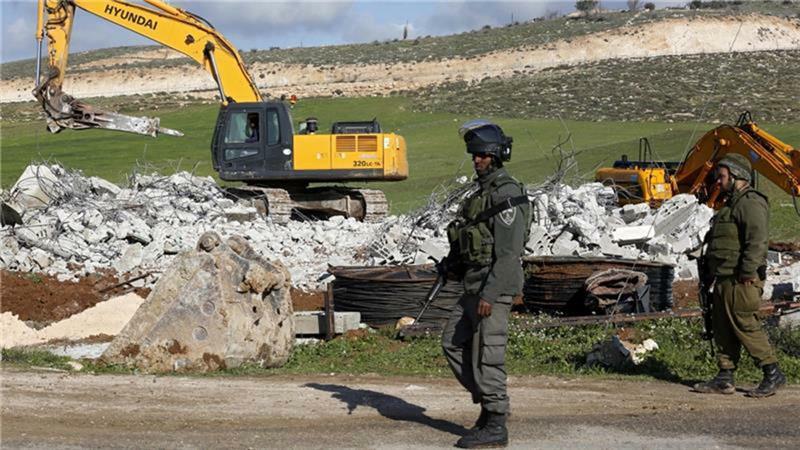 Since September last year, 57 houses belonging to Palestinians have been levelled, according to the Palestine Liberation Organisation’s Negotiations Affairs Department.